Our Fleet • Eat, sleep and dive! Liveaboard Diving provides the opportunity to get the best out of diving, at the world’s best dive sites, without any hassle. A liveaboard is a large dive boat with cabins onboard that travels to various sites in one trip usually stopping for 4 dives a day. You stay and sleep on the boat during the whole trip and in-between dives you get to relax and eat tasty local food. 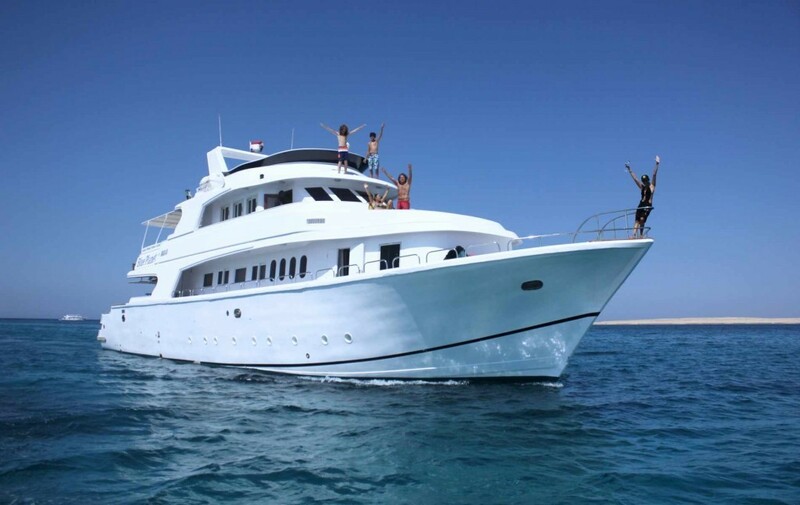 With our liveaboards fleet we organize dive safaris to the best dive sites in the Red Sea. The best what the Red Sea has to offer. Dive in style on board MY Blue. MY Blue was completed in April 2016 at an impressive length of 43m and breadth of 9m, MY Blue is the combined result of Egypt’s years of yacht building experience and modern technology. Her temperate and elegant outlines are matched with a classic interior and layout. MY Blue cruises all routes from North to South taking in the most famed and sought after itineraries from the classical Northern Wrecks & Reefs down to the marine parks of Brothers, Daedalus, Zabargad & Rocky offering you up to 21 dives per week. 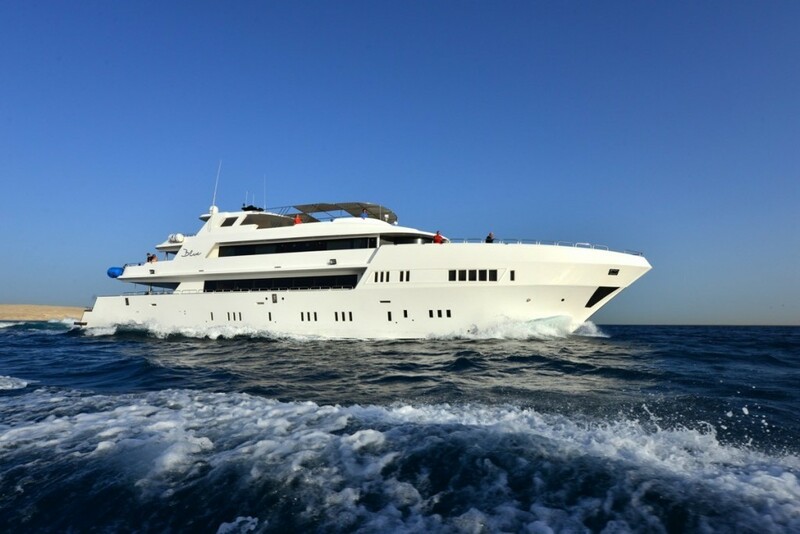 An impressive looking boat, offering some of the most impressive liveaboards diving the Red Sea has to offer. Dive in style on board MY Blue Seas. Built in December 2004 at an impressive length of 37m and breadth of 8m, MY Blue Seas is the combined result of Egypt’s years of yacht building experience and modern technology. 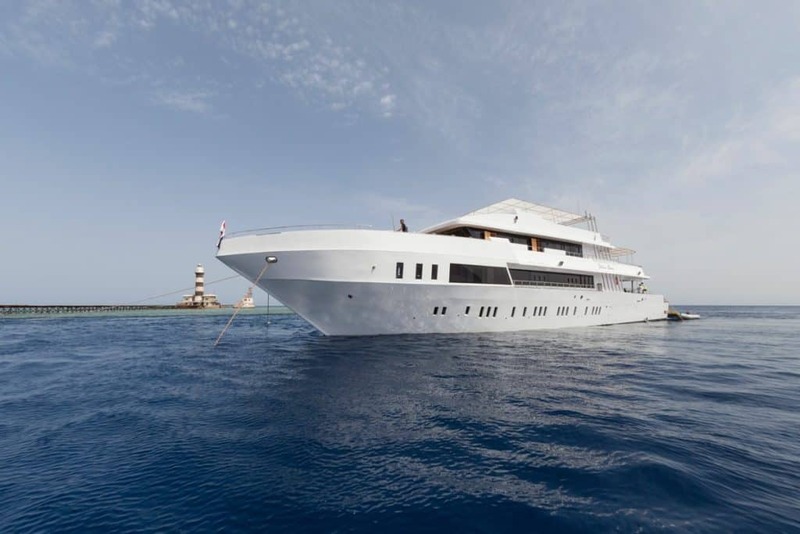 MY Blue Seas cruises all routes from North to South taking in the most famed and sought after itineraries from the classical Northern Wrecks & Reefs down to the marine parks of Brothers, Daedalus, Zabargad & Rocky offering you up to 21 dives per week. Elegant in design both inside and out MY Blue Pearl and her crew will offer you not just the warmest of welcomes but some of the best diving the Red Sea Liveaboards has to offer. 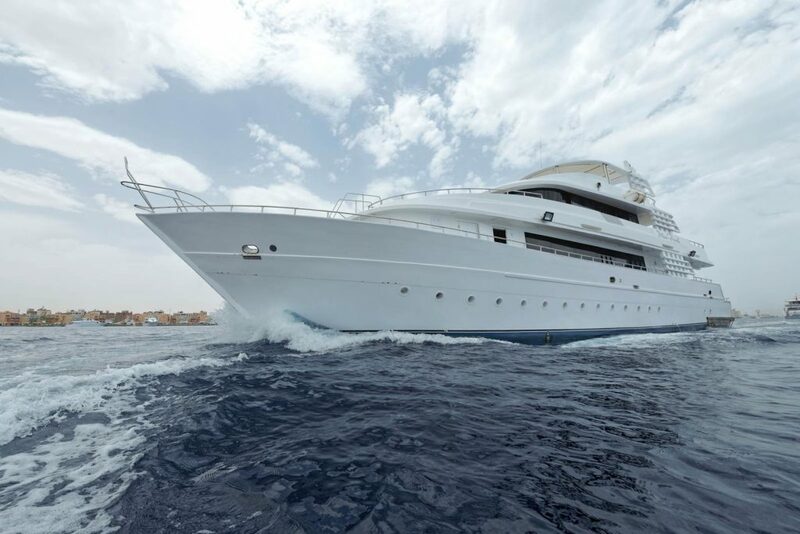 Built in November 2003, at a length of 36m and breadth of 8m MY Blue Pearl cruises all routes from North to South taking in the most famed and sought after itineraries from the classical Northern Wrecks & Reefs down to the marine parks of Brothers, Daedalus, Zabargad & Rocky offering you up to 21 dives per week.